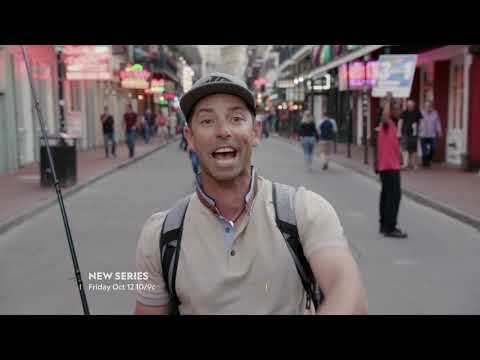 Fish My City With Michael Iaconelli premieres Friday, Oct. 12, at 10/9c. Professional bass fisherman Mike Iaconelli is on a mission to change how we think about city fishing. He’s visiting hot spots around the world to meet the locals and hear the urban legends that reveal the untold story of a city’s unique connection to fish. There are tales of strange and amazing fish lurking in cities’ ponds, canals, sewer systems and rivers, and Mike’s determined to find them. His journey is guided by people he bumps into, the tall tales he hears along the way, and the old friends he meets in each location. He’ll elicit intel from locals, hunt down mysterious habitats, chase urban legends… all in a bid to come face to face with the white whale in each town. Fish My City With Michael Iaconelli Season 1 was released on National Geographic WILD 190d ago in the US. Notify me when Fish My City With Michael Iaconelli Season 1 is available.